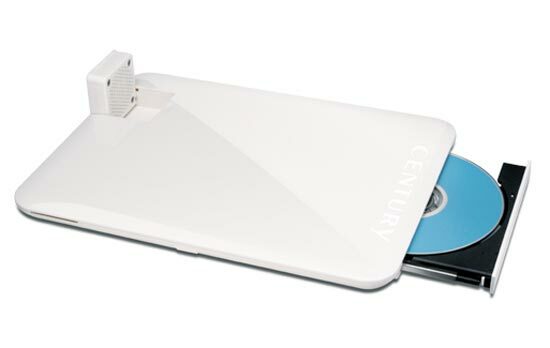 Here is a combo gadget from Japan, that would make a great accessory for your netbook, the Century Netbook Cooler Stand. As well as featuring a built in fan to keep your netbook nice and cool, it also has a built in DVD Super Multi-Drive, so you can watch DVD’s and burn files on your netbook. The Century Netbook Cooler Stand supports DVD±R/+RW (8x), DVD±R DL/-RW (6x), DVD-RAM (5x) and CD-R/-RW (24x), and it measures 260 mm x 190mm x 19mm and weighs in at 524g. It is only available in Japan at the moment, for around $100, lets hope it makes its way over to the US and Europe as this would be a useful netbook accessory.